This number from New York based label Carvoe spoke to us with its striking purple-to-black ombre effect. Definitely a statement maker, this look can be worn day to night, with the simple switch of the inside top (try a lace bralette or bodysuit) or bottoms. The oversized and structured silhouette gives a masculine edge while leaving room for a feminine touch. We love the clean, fresh look of this suit and the cropped hems offer a quirky flair to office attire. The cinching belted blazer is a bonus we can all appreciate. A great go-to for summer, this all white ensemble exudes relaxed vibes, which may be the perfect mood to walk into your next meeting with. This suit brings the romance to a usually formal look. The head turning red and flouncy shorts add a flirtatious touch, making this a proper outfit for an upscale date night or cocktail hour. A blazer that offers a unique closure and silhouette...yes please! Our favorite part about this one is the wide, wrap belt that adds an exotic touch. Keep it casual with this playful and laid-back two-piece from L.A. label TOBI. Pair with your favorite sneakers to create a street chic look that's still office approved. Another airy and relaxed look, this suit's delicious color is both attention grabbing and subtle. Add a contrasting belt, bag, and casual shoes for a sporty twist. Pinstripes - a classic option in suiting. But there's nothing standard about this one from STAUD. The pinstripes here are given a youthful upgrade with a multicolored palette and buttons to match. 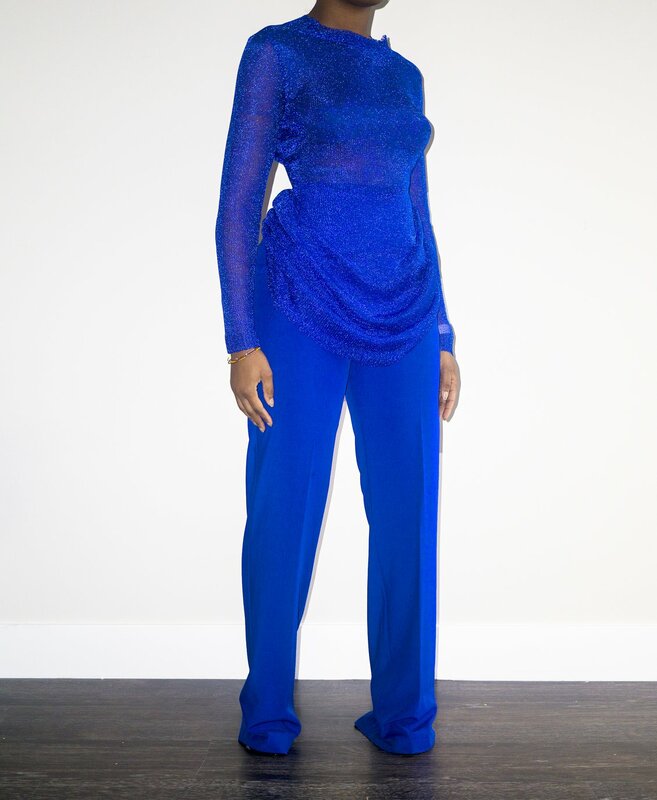 If you're looking for an after hours option, you can't go wrong with cobalt blue and a little sparkle. 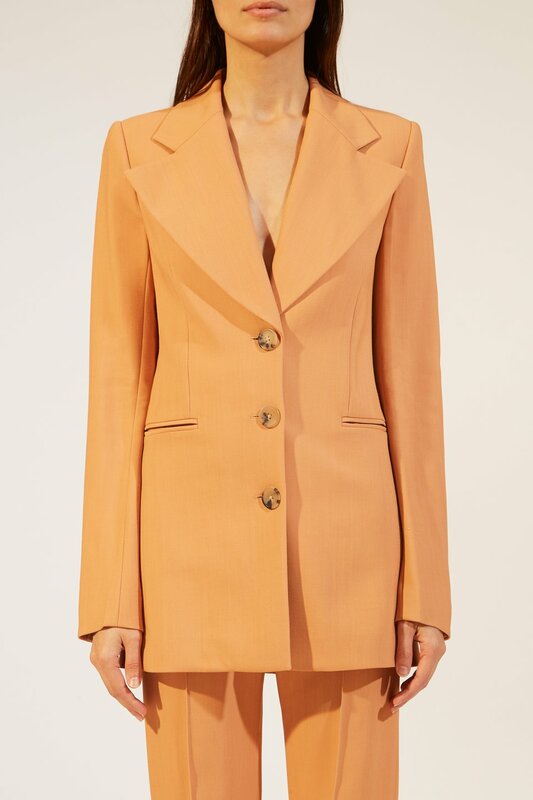 This elegant blazer dress from Hanifa shines with or without the matching high waisted pants - I'd personally rock it with sheer black stockings and strappy sandals for that lux look I'm still obsessed with.